Lock in a great price for Hotel & Restaurante Arca de Noé – rated 8 by recent guests! Domingo was great with morning coffee and breakfast. Andres also very helpful checking in and with dinner. booked 2 single rooms for my friend and i. my room had a view of a wall. we exchanged our 2 rooms for 1 room for the same price. It had giant spiders crawling on the wall..which management told us they were harmless and go to sleep inside the walls. They were 4 " across so a bit spooky to see these crawling around. Bathroom was just a cement room painted. Shower did have hot water. View from the room good, I did not have any food here, I ate at La Iguana across the road. Overall not much to do but a nice view from the dock and a nice view from the room. It is very quiet and not much to see or do in this location. La Iguana across the road did offer scuba diving and massages as well as drinks and food. The hotel is really nice and the room was really rustic. The location was amazing (so close to the port) and the nature was incredible! The room was clean, and the stuff was so nice. Such a pleasure! 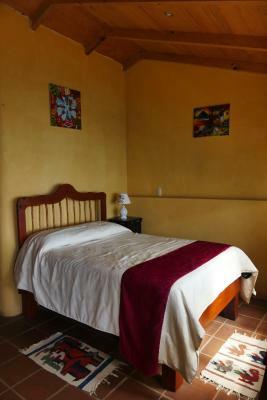 Comfortable bed; one room with shared bathroom has good wifi signal, in addition to strong signal in common areas. Grounds are pleasant for sitting, sound of the waves on the shore is pleasant. Distance from town center makes this a quiet place at night. It was a great location along the lake right off the dock that offers a great spot for breakfast. The grounds were beautiful, location great with a private dock. The staff were nice. Shower was good but no place to set soap, shampoo, etc. WiFi available. The rooms offer basic décor and wooden furniture. 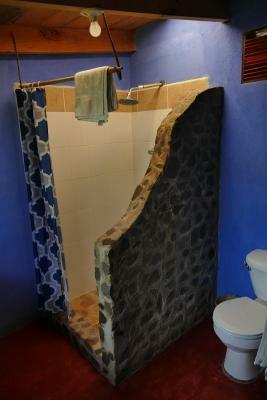 Private or shared bathrooms also come with a shower. At Arca de Noé you will find a 24-hour front desk. Other facilities offered include a tour desk and laundry service. 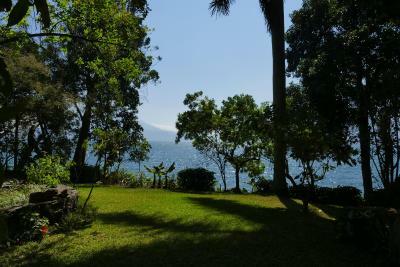 This property is 30 feet from Atitlán Lake and 20 minutes’ by boat from San Pedro Volcano. La Aurora International Airport is 75 mi away. When would you like to stay at Hotel & Restaurante Arca de Noé? This room offers basic décor and wooden furniture. The private bathroom comes with a shower. House Rules Hotel & Restaurante Arca de Noé takes special requests – add in the next step! Hotel &amp; Restaurante Arca de Noé accepts these cards and reserves the right to temporarily hold an amount prior to arrival. Hotel & Restaurante Arca de Noé accepts these cards and reserves the right to temporarily hold an amount prior to arrival. A deposit via PayPal is required to secure your reservation (see Hotel Policies). The property will contact you with instructions after booking. Payment must be made within 24 hours. Having a hairdryer to borrow would have been nice. Friendly staff, good food in hotel, perfect view, colorfull garden, first line to the water, close to ferry. - The guy who works at the kitchen walks naked at restrooms area in the morning. He does not seem to mind this. - During the shower water starts to accumulate. 2m later the feets are completely submerged. DISGUSTING - The front desk should be more nice. We weren’t informed that if we wanted to eat dinner at the property we would need to order by 3pm. Cute rustic hotel that is kept quite clean with a nice view of the lake. Hot showers and everything you need. Unfortunately, a new party hostel has been recently built just a bit further along the bay from Arca de Noé. They turn off the music around 10 / 10:30pm, but between 6 and 10pm you can hear their music, their dinner announcements, on a Saturday their running commentary on the party... sound carries across the water so it's loud. It's not the fault of the Arca at all, but if you know Sta Cruz from before be aware that it's not quite the super quiet spot it used to be. Communication with the property was very difficult after the initial booking, made more difficult by the lack of free cancellation even weeks in advance. Emails and messages via the site apparently didn't get through. We managed to find a compromise in the end when we arrived. 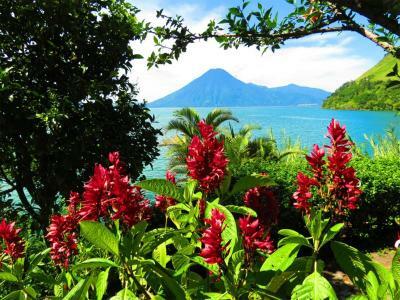 The view from the windows of the Bungalow was amazing - I could see the volcanoes from my bed! The mattress was hands down the most comfortable we had in two weeks in Guatemala, really really high quality. The gardens were beautiful and the private bathing pier was a nice detail. Santa Cruz is still my favourite lakeside village, and we enjoyed going up to the indigenous village for the restaurant run by the local culinary school. Location just by the pier is appreciated for travel to other places. It was a bit overpriced for the simple bungalow. The prices ended up being higher as expected as tourism charge and tax was not yet included. Being close to the lake was very nice. However, the best part was walking up the steep hill to Santa Cruz where you will find an authentic village and stunning views! The food at the hotel was good but pricey. They could not accommodate an early arrival and did not have a safe place to store luggage. Great value with nice, clean room. 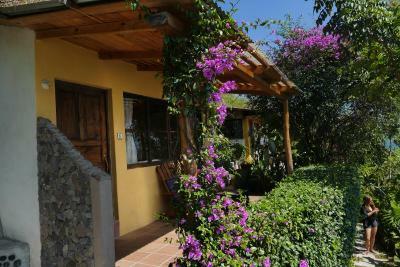 Lovely room and garden area to relax. Jetty also a great bonus as a place to relax and sunbathe on. Every time we paid for something, the staff told us the tip is not included as a reminder that we should tip them. One time they asked if they could keep the change, which we thought was incredibly rude. We would have left a tip anyways but transactions felt greedy, especially when everything was so much more expensive than hostels and restaurants nearby. The pillows smelled like mildew and our room only had hot water half the time. Warning: if you want to pay with a credit card, they tell you onsite that there's a 7% service fee. This wasn't disclosed in the confirmation email from booking.com and is a considerable amount of money given the room rates. The location was ideal as it was right off of the main dock. There is no Wi-Fi in the rooms, only in the reception. You get charged 6% on top of your bill if you want to pay with credit card, which they never mention until you are about to pay. The rooms are just lovely with the stone walls and view on the lake, the staff is very friendly and the food was tasty as well. 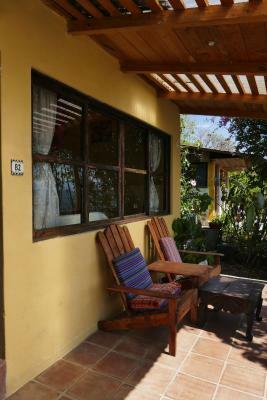 The place is very quiet & laid back compared with other villages along lake Atitlan.